Why Are Supplements So Unregulated? If you ever wondered why supplement manufacturers can get away with practically anything, the answer has two components: DSHEA and Orrin Hatch. I can almost hear you groaning “here he goes again,” with me already having written multiple pieces about the sorry state supplement safety is in right here, here and here and, oh, many more. But this time it’s a bit different. This time we’ll have a look at why supplements are so unregulated. Supplement companies were not happy about these developments. A huge lobbying effort ensued, which went from industry leaders putting direct pressure on Congress to as far as telling consumers the outright lie that the FDA wanted to “take their vitamins” away (which, in hindsight, might have been not that wrong, after all). This category allowed for practically anything to be a supplement – vitamins, minerals, amino acids, herbs and any combination of these. In the bat of an eye, a whole host of over-the-counter medications weren’t medications anymore. Instead of being subject to some rather harsh safety regulations, they were now classified as harmless little friendly helpers. That a neurohormone like melatonin graces US Wal-Mart shelves in 200 pc. bottles, while in the EU it requires a prescription, is a direct result of this. Furthermore, to make the tiger really toothless, the DSHEA also ensured that the FDA was only able to take action against any unsafe dietary supplement product after it reaches the market. But who was responsible for all this? You’ll now meet the central figure. 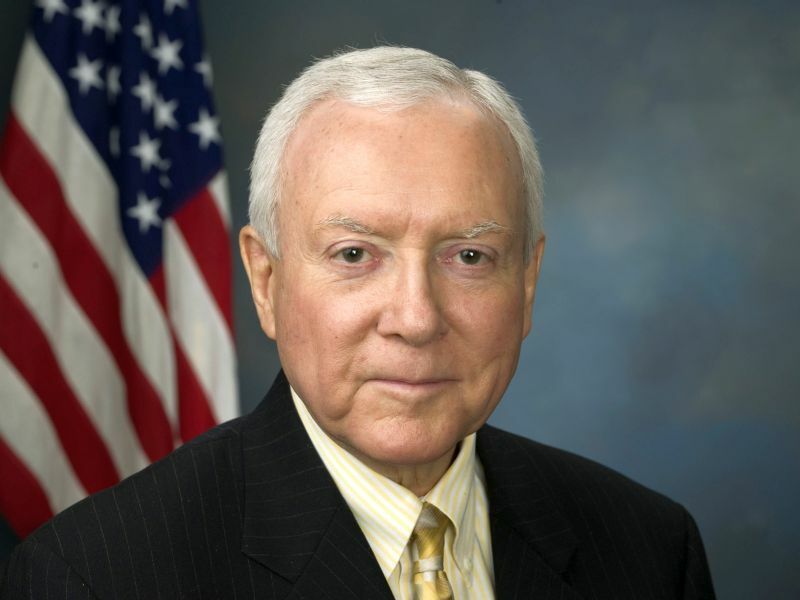 The man who pushed the DSHEA through is Orrin Hatch, senator for the state of Utah. Utah, whose supplement industry is worth around $7.2 billion and represents 1/5th of the entire market pie. But he remains unphased by any criticism and to this day is the DSHEA’s sturdiest supporter, even though the numbers of deaths possibly connected to dietary supplements is ever mounting. For example, the draft guidance would require a manufacturer to submit an NDI notification for every dietary supplement containing an NDI. This is directly contrary to the language of the DSHEA, which requires notification only of the intent to use an NDI. The FDA’s misinterpretation of this provision is far from harmless. Indeed, this burdensome requirement would impose substantial, additional costs on manufacturers […]. It goes without saying that the PR machine was back in action as well. I leave it to your judgment if Senator Hatch had consumer freedom and protection at his heart when he labored so hard to make the DSHEA reality. In the meantime, the list of supplement scandals keeps on growing. Pictures courtesy of John Liu and the U.S. Senate. Scams are anecdotes,and the plural of anecdote is not data. So goes the skeptic one liner. Here it is applicable. There are literally billions of uses of supplements every single day. Under the law of large numbers, you WILL find problems. …well then you have a fight coming. And we opponents of this are serious. In the list of famous last words, “I know what I’m doing” makes it to the top 10.